Hugh Richard Grosvenor, 2nd Duke of Westminster, was an active member of the Conservative Party. 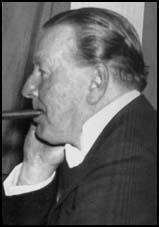 In the 1930s he developed extreme right-wing opinions and became a member of several anti-Semitic organizations including the Anglo-German Fellowship. In 1939Archibald Ramsay founded a secret society called the Right Club in May 1939. 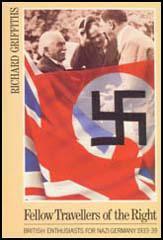 This was an attempt to unify all the different right-wing groups in Britain. Or in the leader's words of "co-ordinating the work of all the patriotic societies". In his autobiography, The Nameless War, Ramsay argued: "The main object of the Right Club was to oppose and expose the activities of Organized Jewry, in the light of the evidence which came into my possession in 1938. Our first objective was to clear the Conservative Party of Jewish influence, and the character of our membership and meetings were strictly in keeping with this objective." Members of the Right Club included Westminster, A. K. Chesterton, William Joyce, Anna Wolkoff, Joan Miller, Francis Yeats-Brown, E. H. Cole, Lord Redesdale, 5th Duke of Wellington, Lord Redesdale, Aubrey Lees, John Stourton, Thomas Hunter, Samuel Chapman, Ernest Bennett, Charles Kerr, John MacKie, James Edmondson, Mavis Tate, Marquess of Graham, Margaret Bothamley, Earl of Galloway, H. T. Mills, Richard Findlay and Serrocold Skeels. On the outbreak of the Second World War Westminster became a leading supporter of the Peace Aims Group, an organization that urged a negotiated peace settlement with Nazi Germany. (1) In her book, The Light of the Common Day, Diana Cooper describes how she had lunch with her hisband, Duff Cooper, and the Duke of Westminster at the Savoy Grill on 1st September, 1939. The Duke began by 'abusing the Jewish race', adding his praise for the Germans and 'rejoicing that we were not yet at war'. As Lady Diana recounted, 'when he added that Hitler knew after all that we were his best friends, he set off the powder-magazine. "I hope". Duff spat, "that by tomorrow he will know that we are his most implacable and remorseless enemies". Next day "Bendor (Duke of Westminster)", telephoning to a friend, said that if there was a war it would be entirely due to the Jews and Duff Cooper'.